Heather & Jonathan celebrated their amazing wedding at The Club at Bond Head. The Trade Sensation Wedding Planning & Decor team is so happy to have been a part of bringing the couple's vision come to life. The reception decor consisted of violet and champagne gold beautifully decorated with hints of butterfly elements. 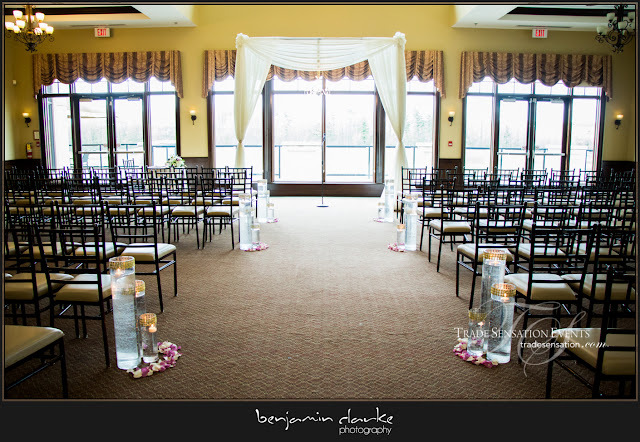 The intimate indoor ceremony was just as beautiful with a stunning view to the Golf Course as the background. Details like the candy station and cupcake tower added a fun touch. We are so incredibly happy for you Heather & Jonathan! Thank you for allowing us to be a part of your special day. We wish you many more years filled with unforgettable memories and love! Juliana & Pietro celebrated their love filled wedding at Paramount Conference & Event Venue and the Trade Sensation wedding planning team was right there to ensure their day of coordination went off without a hitch. This Italian wedding was flawlessly executed and we are so happy that we got to be a part of it! The church ceremony was intimate with close family and the reception was a night to remember as guests took over the dance floor after an exciting performance with Bongo & B drummers and dancers. Their stunning reception backdrop and draping was done by Enzo Mercuri Designs with grey, silver and white modern details. All floral, ceremony decor, guest tables and head table decor including table linens, overlays, charger plates and napkin holders were done by International Florist and Gifts. Such a beautiful wedding from beginning to end! Congratulations Juliana & Pietro, we wish you a wonderful life together! This decor done by Trade Sensation's South Asian Wedding Boutique twinkled it's way into the night as we celebrated the marriage of Mitali & Mahesh. This romantic decor included a Twinkle Light backdrop in Navy, Ivory & Gold. 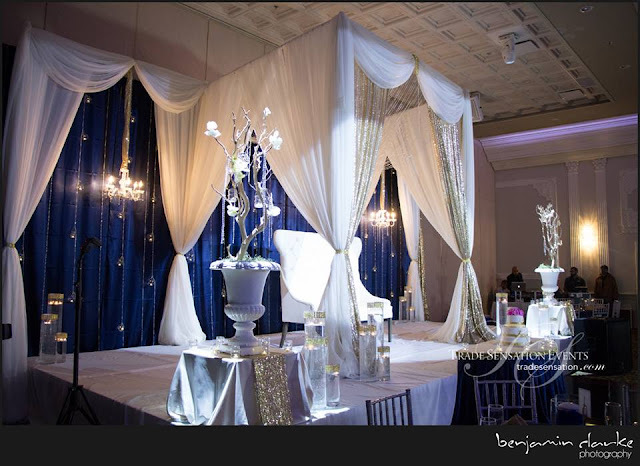 The happy couple sat under a beautifully decorated Mandap with a hanging chandelier, sequin curtains, and Swarovski loveseat, all executed by our Decor Specialists. We are happy to have brought out the couple's vision for their wedding and to have been part of their special day. We wish Mitali & Mahesh an amazing life together! Suzy & Tiago had a beautiful Portuguese wedding at Renaissance by the Creek. 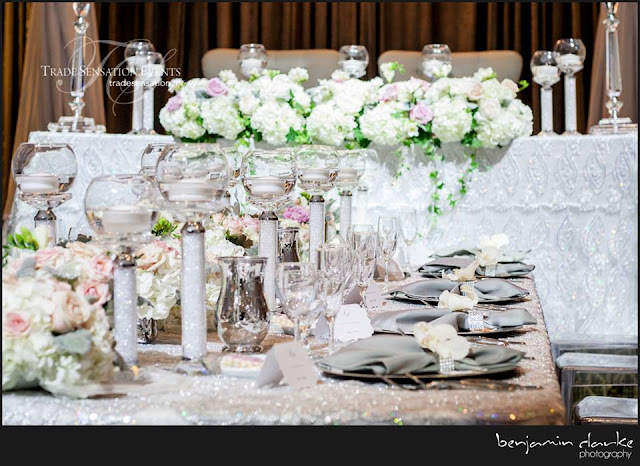 Their Head Table and Receiving Table Decor done by Trade Sensation Events consisted of white, silver and eggplant with details of crystal bling and sequins. 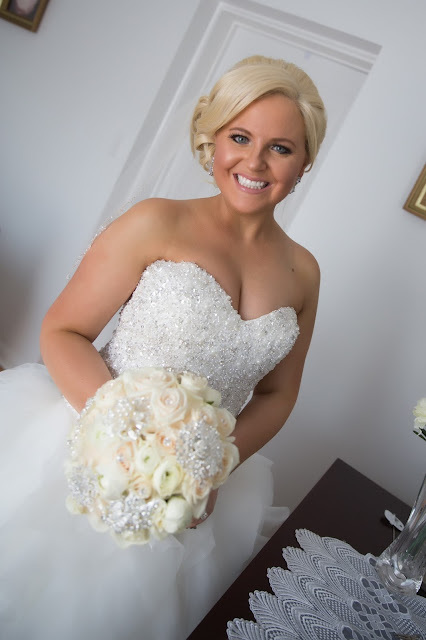 The Wedding Planning Team executed flawlessly ensuring the couple could enjoy their wedding day. We are so blessed to have been chosen to be a part of their wedding day for Decor & Day of Co-ordination Planning. We wish Suzy and Tiago a beautiful life together full of laughter and happiness!